Make them see you how you want to be seen. New Balance didn’t have any experience in football before; they were a running shoe company, or a comfort-over-style sneaker company. Now they have a stable of club teams (Liverpool, Celtic, Stoke), several well-known players, and two intriguing new boots. To get this done, they had to make and take chances. So it makes sense that New Balance’s marketing theme for their new cleats, Visaro and Furon, is Make Chances and Take Chances, respectively. These are attack-minded boots, just not position-specific, but outlook-specific. Sounds nice, but do these have the quality to stack up with Nike or adidas? You’ve seen it on Aaron Ramsey’s feet for months, now here it is in a shiny blue launch colorway. 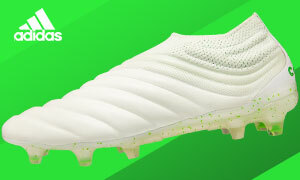 This is the Make Chances boot, so the Visaro is designed for the player who skillfully distributes, scores when needed, and just generally wreaks havoc on a defense. The first tech point to be aware of is the Vari-zone Ariaprene upper on the forefoot. 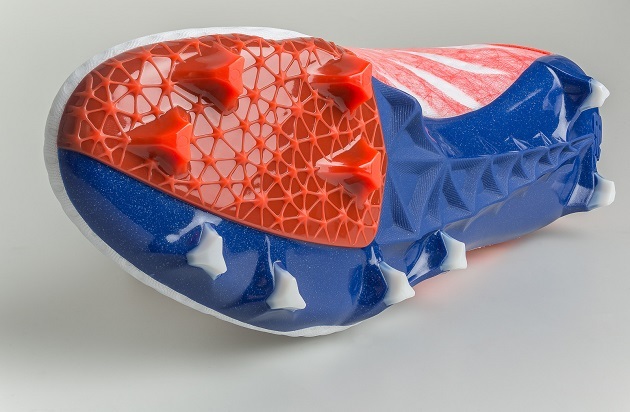 This material is meant to let you manipulate the ball in ways that are not likely with an average pair of cleats. When it comes to comfort, New Balance doesn’t need any pointers. A pro-form last is used on both the Visaro and Furon for excellent feel and comfort on your foot. Extra cushioning is provided in the midsole with the Fresh Foam insock. 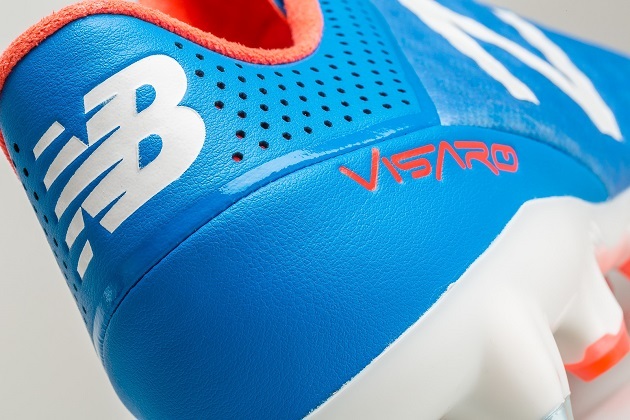 For the outsole, the Visaro features a Super-Flex soleplate that works with your foot for fantastic flexibility. The studs have a triangle shape, except on the Medial Pivot Zone (marked in red), which has four rounded studs for agile turning, like the Nike Magista. This kind of 360-degree transition from defense to offense is perfect for the Visaro’s Ramsey, Samir Nasri, Vincent Kompany, and Marouane Fellaini. Every team needs that player who lives by carpe diem. The kind of person that has a deep understanding of what it means to “Gather ye rosebuds why ye may“. 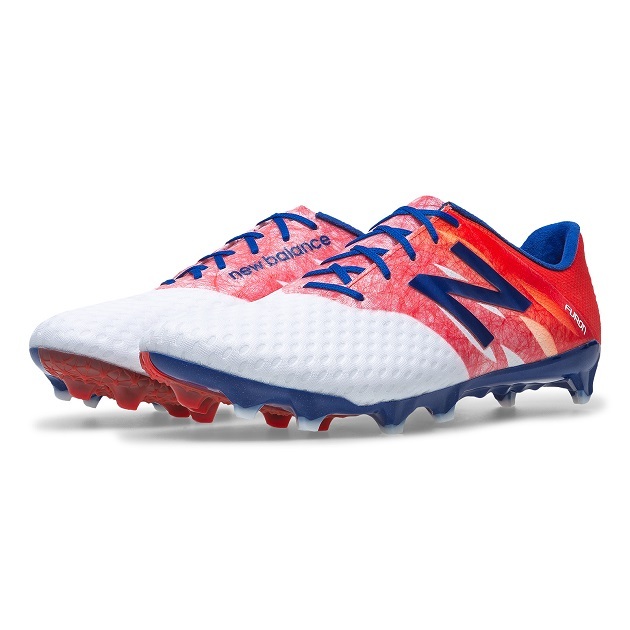 New Balance’s Furon boot is for the Take Chances type of player. 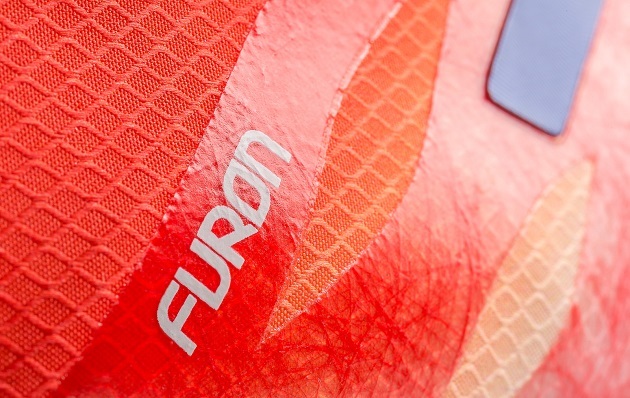 The Furon’s specs are crucially different from the Visaro. The white forefoot has a high energy return upper for explosive release velocity. Higher up the shoe, the terrifically-named “burrito tongue” folds under itself to create a bigger and cleaner area for striking the ball. 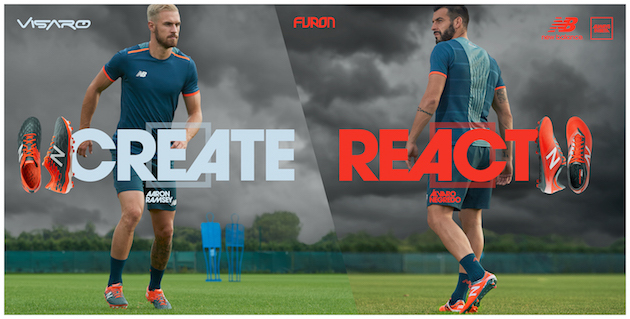 For added strength and support, the lightweight Fantom Fit cage keeps you locked into the Furon. Since the Furon is going for more straight-line speed, rather than 360-degree playmaking, the stiffened soleplate allows for this kind of acceleration. 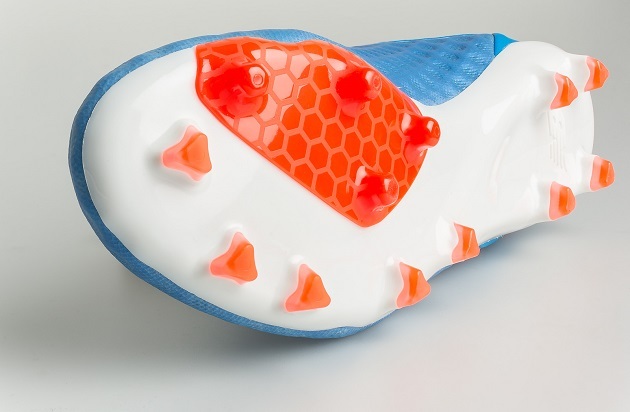 You can see that spine (like on the Puma evoPOWER) running through the middle and keeping the soleplate stable. Similarly, the ultra-directional stud design is manufactured for spectacular traction as you spring forward past defenders. Young Manchester United winger Adnan Januzaj is the Furon’s headliner, with Alvaro Negredo, Man City’s Jesus Navas, and Tim Cahill slipping on the Furon as well. At first glance this all may seem like a re-tread of what adidas just released with their new X and ACE silos. There are certainly some similarities — Visaro is ACE and Furon is X — but New Balance has a couple of key distinctions to boast. First, NB is offering their boots in a wider fit, something most companies just don’t do. 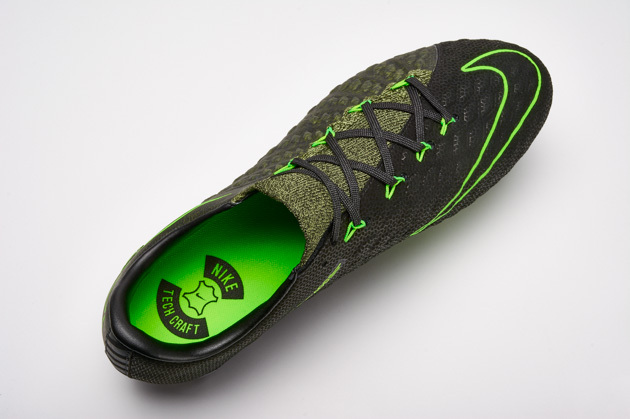 This allows those with wider feet to slip more comfortably into a Visaro or Furon. Secondly, these come at a lesser price than the other major brands’ top boots. Adidas X15.1 and ACE15.1 sit at $220 retail. 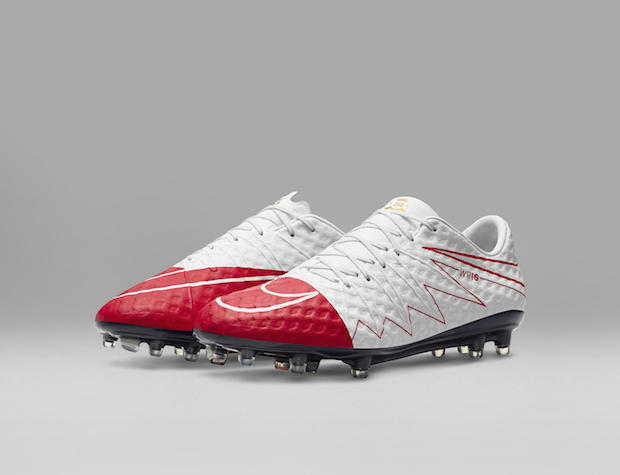 Even when compared to the second-tier Nike Magista Opus or Mercurial Vapor X, these come in $20 lower. 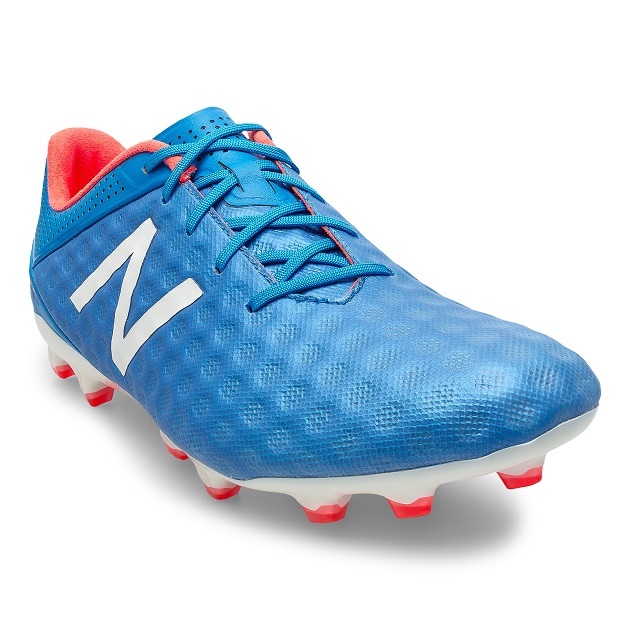 At only $180 retail ($161.99 at SoccerPro, guys), don’t count out New Balance’s new boots because they could steal a little terrain. They’re available July 1st. You mention that they’re wider fitting, but your site doesn’t allow any choice of widths. I know (from the NB site) that they come in D (medium) and wide (EE) widths. How can I choose wider boots?